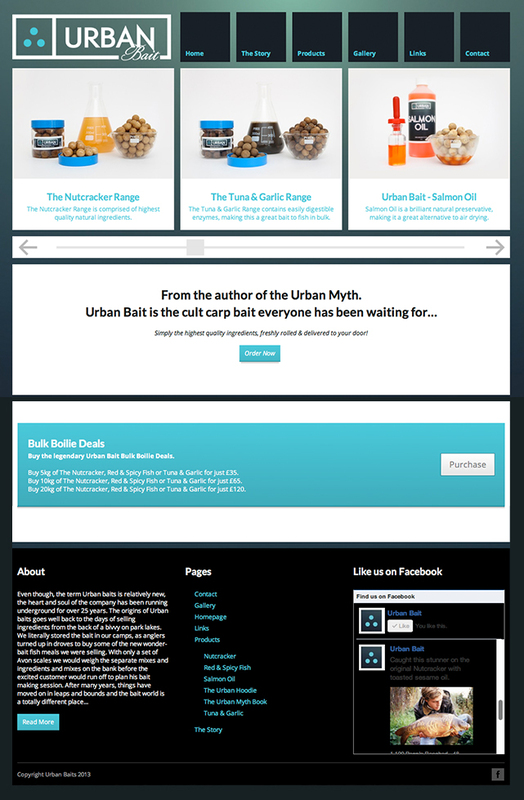 Highly successful underground Carp legend Terry Dempsey first approached iAngler to produce a website for his eagerly anticipated Carp Angling Book “The Urban Myth”. After successfully encapsulating the feel of the book through his website, Terry once again approach us to push his bait website in a similar direction. The website needed to follow the cult/underground/original/unique feel that the book possesses. With this in mind the iAngler team collaborated to produce a fresh/cult/modern/unique website. The bait speaks for itself! and we like to think the website does the same!